Many are calling him President Mnangagwa’s best appointment. 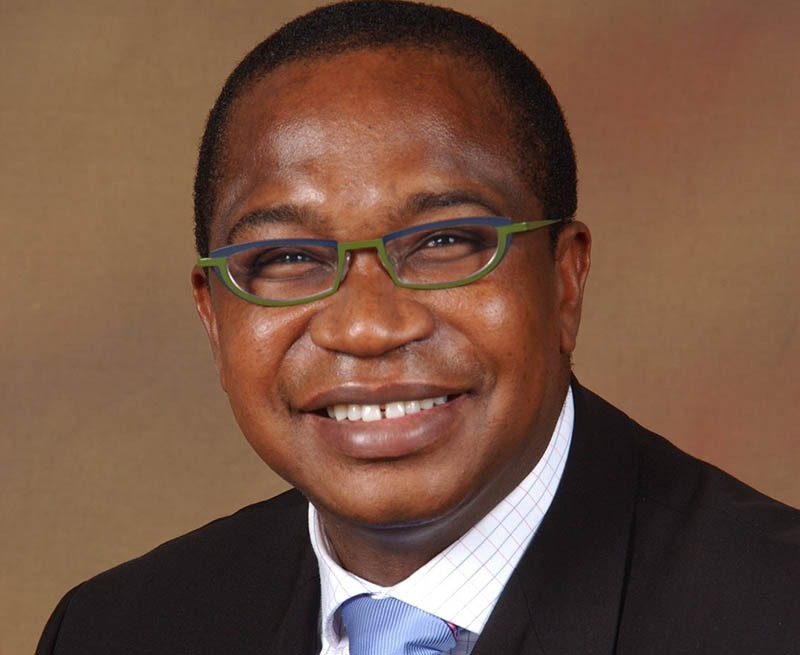 That’s new the Finance Minister Mthuli Ncube, a technocrat as many of us are saying. He starts his reign as the Minister of Finance in the back of a struggling economy. Shortage of bond cash, shortage of foreign currency cash, increasing prices etc are some of the visible problems that are taking a toll on the economy. With this feature in mind, adopting the US dollar can help to stabilize the economy, aid recovery and promote trust to attract foreign investment. Countries like Vietnam or Ecuador which have dollarized, have done so primarily to achieve stability by keeping the inflation down, courtesy of the USD. Dollarisation is the use of a foreign currency in parallel to or instead of the domestic currency. For individuals, especially those who have an affinity to buy outside Zimbabwe, you will be able to buy more stuff when the US Dollars are converted to the local currency of a respective country. Or for those who have deep pockets, taking a vacation in South Africa will be affordable when you convert your US dollars to the Rand. For companies that import, they will buy more goods/raw materials for a few converted US dollars. Inversely companies that export will be hurt with dollarization as their products will not be competitively priced in other countries. By adopting Rand, Zimbabwe would effectively join what’s called the Rand Monetary Area, also known as the Common Monetary Area. The Common Monetary Area (CMA) is a monetary union of South Africa, Namibia, Lesotho, and Swaziland. And its system under South Africa’s hegemony. In the past five decades, the CMA has worked to the economic benefit and stability of these four countries. Thus, the selling point of this system is stability that is emitted by South Africa. Whilst CMA members have their own central banks and some even have their currencies, the problem with it should Zimbabwe join is that Zimbabwe won’t have that freedom to unilaterally implement its monetary policy to affect its economic health. Here is one solution that will find very few cheerleaders. The tale of the Zim dollar didn’t end very well, with many people losing their savings, pensions, properties, assets after it was abandoned a decade ago. Just the word ‘Zim Dollar’ itself, it sends chills down some people’s spines. In light of this, the re-introduction of the Zim Dollar will evaporate what confidence is still there and consequently destabilize the economy. However, if the Zim dollar is reintroduced, the government will regain its power to influence economic activity through monetary policy. Whatever Professor Ncube picks as his solution to revive our dying economy, it should be noted that the effect of his picked solution will hinge on the political backing that he will have to implement. If I were to pick one reform, I would go for the CMA option simply because it strikes a balance between feasibility and reviving credibility in our economic system. Adopting the USD is a fine reform in many respects but I hardly think its feasible because I’m not sure where the US dollars would come from. Would America bankroll us? I hardly think so. Most of the US dollars or foreign currency that’s coming in Zimbabwe is coming from remittances and nongovernmental organizations. Whilst US dollars from these avenues have kept Zimbabwe afloat for some time, it won’t be adequate (the quantity of US dollars in the economy) to have as the country’s sole currency. Most valuable? Really? That’s not true. Haha. Thats a lie. What does valuable mean when used in the context of money? Of the three options touted as possible solutions, I think all boil down to one solution. Joining the Rand Monetary Union is not different from joining any other monetary union in the world. That SA is a trading partner matters very little in that South Africans price their exports in US$ .Even their shops Rand pricing, in many instances ,is linked to the US$. 1.The Bond note has already been accepted. In principle, it is a Zimbabwean currency. 2. Authorities must withdraw all the multi foreign currency from local circulation, but maintain the Bond Note on an exchange rate of 1:1 to the US$. Effectively, this means that the country is literally continuing to use the US$, and remains a dollarized economy by all standards! The Afreximbank bond note suppport facility is just extended by Zimbabwe’s own foreign exchange earnings as it were. 3. In the circumstances, MOF and RBZ must pledge, and be seen to maintain a cap on printing more Bond Notes(and other forms of currency) without new US$ being introduced in the economy via exports, FDI and other legal means of foreign exchange inflows, supported by attendant productivity. All bond notes in circulation and to be printed must match 1:1 with the quantum of US$ in the economy, and grow progressively as the country’s exports, received FDI and productivity increases. 4.Matching all bond notes to US$s implies that for each Bond Note in circulation, there is a US$ under cap and lid at the RBZ and or in secure nostro account, small margin of errors excepted!. 5.Pursuant to 4 above, anyone with their Bond Notes, either physically or in a bank account must ,without difficulty, be able to access the US$ in exchange for the Bond Note should they require the US$ for external payments in terms of a newly crafted, comprehensive exchange control law, (this must be done as a matter of urgency) that must take into account the current narratives. For example, a parent with a child attending university or any other school program outside Zimbabwe, will not care what currency is in use. As long as they have that currency (e.g. bond notes) in their bank account, then they should , at their convenience, be able to go to their bank and complete an MT 103 to send the money to the school/ college, without any waiting since the Bond Notes in their local bank account is backed by US$, firmly and safely kept by RBZ in its vaults or in the nostro account. That is what preserves confidence of a currency. The confidence that the population requires may not necessarily be that of currency, but of the RBZ and/ or The MOF, in my view. 6. The parallel market activities will gradually disappear when the only circulating currency is the Bond Note, in a way a Zimbabwean currency. 7. Black market operations may persist for a while , but eventually the law will take its course and citizens will comply. 8. Hording bond notes will not happen, but if it does happen, there will be mechanisms to curtail it because the Central Bank can have the choice to demonetize one Bond Note denomination, especially the big ones, and introduce another at notices commensurate with the level of market indiscipline at the time, like what has happened in India. 9,Unannounced note denomination changes will discourage citizens from keeping large amounts of cash at home , and thus encourage currency circulation to enable banks to perform their inter mediation roles. The self destructive approach of banks deciding not to reward reasonable savers with interest on their positive balances does not help the situation at all. Similarly, the charging of ” non interest income” to poor savers,for the banks to earn profits growth of more than 100% is not only destructive corporate irresponsible, but to some extent criminal and militates against building confidence. Non interest income must refer to well thought out deal structuring that gives banks such fees, not ledger fees. In fact, almost all banks are now lumping services fees and call it non interest income, even though no sound banking structuring transactions would have been executed by such banks in the entire reporting period. Such banks’ behavior kills the spirit of saving by the general population. Banks are key in currency reforms and should not be allowed to make extra ordinary profits from non risk taking activities, that becomes smart theft from an uninformed public, and destroys confidence towards the institutions. 10. Direct payments using all the current six legal tender currencies must be be outlawed, except through institutions such as hotels, bureau de changes and commercial banks, who will have exchange control dealer licences with compulsory , legally enforceable rules to deposit all foreign exchange receipts by such licensed players, to the RBZ by 10 am the following banking day. 11, Remittances from diaspora will be encouraged through the banking system , with beneficiaries receiving the equivalent amounts in their bank accounts which can be flagged “no withdrawal charges” for known beneficiaries of such remittances. Such remittances will have representative US$ in nostro accounts of commercial banks or RBZ. 12. In essence, the remittances help grow the nostro balances , instead of the current status where the remittances are prime drivers of cash hoarding, cash trades in streets and black marketeering at micro and macro levels. 13.The operations of money transfer agencies require review. The agencies must place money for their activities in nostro accounts, and receive local bond notes through local banks operating accounts. If at any time such operators wish the bond notes balances in their local accounts to be remitted to wherever the money would have come from in the first place, they should freely do it. 14.The local banks must change a gear up and be more accountable for their clients’ activities. That is the whole essence of the KYC concept. Local banks seem to have perceived KYC as an identity card and address collection exercise, nooooo!. It is about policing each and everyone of the bank clients to ensure that their activities are above board. Accounts of non compliant clients must be closed, and it must be made compulsory for all banks to publish such compulsorily closed accounts for breach of banking norms. For example, when US$s were still available, banks would allow clients to withdraw cash amounting to $500 000.00 just because the money is there in the account. Operators with such attitudes should have their licenses cancelled/ withdrawn. The bank must know their clients, their business activities, their characters and raise red flags on all suspicious transactions. That is what KYC is all about. This has not been seen in today’s banking sector except for one credible and true to form bank still in the market. 15.In conclusion, the currency debate in Zimbabwe needs to be pitched high so that the Minister, new or old ,sees the challenge from different angles. The “I know it all” attitude will plunge the whole nation into a ditch that may not be simple to come out of, more so when many citizens are still leaking the scars of previous disastrous losses occasioned by people in authority. I opine that the US$ currency regime remains in place with ,reforms to address weaknesses of the multi currency regime policy only, and guard such policy with a professional currency board. What if we have our own currency then all of us as Zimbabwe and Zimbabweans see where to start , how to start and when to start without leaning on anyone’s shoulders like we have always been doing the past struggled years to other countries. What if we as Zimbabweans hold hands and unite to make our own country a better place with everyone contributing for the good , because no one has to do it for us and no one will do it for us. If not us then who.